The March 2004 Madrid bombings were another important turning point. Above all, they brought about a change of government. The attack took place just before the elections and the ruling Popular Party badly mishandled the affair, implausibly trying to blame ETA. The attacks also heightened anxieties about the Muslim community. In response, the new Socialist government overhauled the security and intelligence agencies and adopted a more proactive approach to facilitating the integration of Muslims. Notably, it launched the Foundation for Pluralism and Coexistence (Fundación Pluralismo y Convivencia, FPC) with a remit to advance religious freedom by supporting and financing non-Catholic religious organizations. Protestant and Jewish groups were backed as well as Muslim groups in order to avoid singling out the latter as problematic. The new government also promoted other activities, research and public policies to encourage social integration. Tellingly, the FPC circumvented the CIE by funding Muslim organizations and projects directly. As we have seen, some of the first Muslim organizations in Spain were set up by members and sympathizers of the Muslim Brotherhood. The most prominent figure remaining from that period is Riay Tatary. He has a long record now: he founded AME in 1971 and UCIDE in 1990; he sat on the Advisory Committee on Religious Freedom that drafted the 1980 Religious Freedom Act; he has been the imam of Madrid’s Abu Bakr Mosque since it opened in 1988; and he is the current president of the CIE.
Tatary denies any connection to the Brotherhood, but it is alleged that AME and the Abu Bakr Mosque are part of the Federation of Islamic Organisations in Europe (FIOE, the Muslim Brotherhood’s representative organ in Europe). From the mid-1980s until the late 1990s, the Brotherhood presence in Spain does seem to have been rather limited. However, the emergence of a large Muslim community revived the organization’s interest in the country and brought with it other international actors. Meanwhile FEERI, the group initially controlled by the converts of the Islamic Committee of Spain (JIE), was taken over by a new leadership close to the Moroccan authorities in 2006, as we have seen above. By 2011, Spanish intelligence described FEERI as “the main weapon of control” of Moroccan immigrants in Spain. The change was not well received by the converts, who accused the new leaders of being “on the payroll of Saudi Arabia.” However, as have seen, FEERI had originally been established with support from the Saudi-backed European Council of Mosques and the leader of the converts, Mansur Escudero, was himself the target of attacks due to his relationship with Muammar Gaddafi’s regime. In any case, the pro-Moroccan leadership of FEERI was replaced in 2012, when Moroccan-born Mounir Benjelloun became the president of the federation. Benjelloun is thought to be close to Al-Adl wa-l-Ihsan (Justice and Charity, a Moroccan Islamist party), although he denies being a member. Justice and Charity was founded by the now-deceased sheikh Abdessalam Yassine in 1973. It is not connected to the Muslim Brotherhood, although Yassine was inspired by the writings of Hasan al-Banna and adopted his organizational model. The movement is illegal in Morocco due to its rejection of the monarchy, but it is tolerated by the authorities and purports to have 200,000 members. It also has considerable sway over the Moroccan diaspora in France, Belgium, the Netherlands, and Spain, where it is represented by the National Organization for Dialogue and Participation (Organización Nacional para el Diálogo y la Participación, ONDA), with offices in Getafe (Madrid), Barcelona, Granada, and several other towns and cities. Justice and Charity’s blend of Sufism and activism appeals to underprivileged Moroccan workers, but its leadership is made up of urban, middle-class young men and women who left their country seeking political freedom as much as economic opportunities. They deny formal links with the mother organization in Morocco, and their activities focus on their adopted country. LIDCOE was established in 2004 and is based in Valencia, although it organizes activities in other regions, notably in neighboring Catalonia, where it collaborates with the aforementioned Islamic Cultural Council of Catalonia, set up in 2000 and with its seat in Barcelona. According to Spanish intelligence, both LIDCOE and CICC are financed by Qatar. The Spanish branch of Islamic Relief also has its headquarters in Barcelona. LIDCOE and Islamic Relief Spain appear rather opaque – their websites do not offer any information about their boards – but several sources point to a shared leadership. In 2002, a Spanish police report accused Islamic Relief of financing al-Qaeda training camps in Afghanistan and providing logistical support to jihadis. More recently, its charitable activities have brought it more positive media coverage. For its part, LIDCOE is believed to be behind the project to build the first Islamic school in Spain in Aldaia, near Valencia. The plan called for a school accommodating up to 800 pupils, both boys and girls, from kindergarten to high school. The project received donations from Saudi Arabia, Qatar and Kuwait but it came to a halt when it ran out of funds. All this information makes it apparent that Muslim organizations linked to the Muslim Brotherhood have a particularly high level of activity in the Valencia region, centered around the Islamic Cultural Centre of Valencia (ICCV). After launching in 2000, in July 2001 the ICCV showed Brotherhood colors by holding the 8th meeting of the Islamic Council for Fatwa and Research, with Yusuf al-Qaradawi himself presiding over proceedings. Speakers and guests included Brotherhood leaders and representatives of Spanish local, regional and state authorities. The ICCV was an enthusiastic participant in Spanish prime minister José Luis Rodríguez Zapatero’s initiative for an “Alliance of Civilizations.” In June 2006 it held an international conference with the theme “Alliance of Civilizations: Another world is possible,” co-organized by LIDCOE and the Islamic Centre of Valencia. Participants included prominent Muslim Brothers (among them, Ahmad al-Rawi, the president of FIOE, and Salim al-Awa, general secretary of the International Union of Islamic Scholars) alongside representatives of Spanish institutions, Arab states, NGOs, and other Muslim associations and movements, such as Rida Benkhaldoun of the Moroccan Justice and Development Party, which is considered part of the. Brotherhood network. Today the ICCV is characterized by its high-profile female leadership, notably Spanish convert Amparo Sánchez Rosell, who was the first woman to head a Muslim association in Spain, and its current president, Tunisian-born Mariam Barouni. The organization appears modern and dynamic and it has been remarkably successful at cultivating relations with political and academic institutions. It has also obtained funding from the Valencia regional government, the FPC, and private sources too, such as La Caixa bank. The second major jihadist attack on Spanish soil, the Las Ramblas ramming in Barcelona in August 2017, focused attention on the existence of Salafi groups in the country, particularly in Catalonia. That region and neighboring Valencia are home to most of the Algerians who live in Spain, many of whom arrived in the 1990s, fleeing the civil war between the Algerian regime and the Salafi Front Islamique du Salut (FIS). Salafi groups in the region are said to receive funds from the Gulf countries, especially Qatar, Saudi Arabia and Kuwait, and in 2016 the Catalan police reported that they controlled a third of the 250 mosques and prayer rooms in the Catalan region, although only around 5% of the region’s Muslims follow that strand of Islam. Even before the Barcelona attack, Muslims in Catalonia were making headlines for the wrong reasons. In 2009, it was reported that a “sharia court” in Tarragona had sentenced a Moroccan woman to be stoned to death for adultery. She was able to escape and report the facts to the police. In April 2016, a Saudi preacher who praised Osama bin Laden on Qatari TV was invited by a Muslim organization in Cornellà de Llobregat, not far from Barcelona. He delivered a Friday sermon in the local Al-Tauba mosque, the largest in Catalonia, prompting an investigation by the Spanish Interior Ministry. In fact, Salafism seems to be on the rise across Spain. Only last March, the Salafi imam of a mosque in the Navarre town of Corella was expelled to his native Morocco for posing a risk to national security after he was linked to the Kuwait-based Revival of Islamic Heritage Society, which has been accused of funding al-Qaeda and Daesh. The Salafist movement includes different currents. The largest is that of Tablighi Jama‘at (Urdu for “Outreach Society”), a transnational movement founded in the Indian subcontinent in the 1920s and now present in over 100 countries around the world. In Europe, it has a considerable following in the UK – its European headquarters is in Dewsbury, West Yorkshire – as well as in France, Belgium, and the Netherlands. It arrived in Spain in the mid-1980s and has a significant presence throughout the country, especially in Catalonia and in Ceuta, chiefly among Pakistani immigrants, most of whom live in Barcelona, but also among Moroccans and Spanish converts. Tablighis propagate their creed through missionary activity and do not advocate violence, but their discourse emphasizes the importance of orthodox Muslim practice, rejects democracy and liberal values, and does on occasion lead to violent radicalization. Tablighis discourage social interactions with non-Muslims but they have endeavored to establish good relations with the Spanish authorities. A leading example here is Lahcen Saaou, a Moroccan immigrant who is considered the leader of Tablighi Jama‘at in Catalonia and has been the imam of Barcelona’s Tariq ibn Ziyad mosque for over three decades. In 2002, he became president of the LIDCOE-linked Islamic Cultural Council of Catalonia, which was promoted and is supported by the regional government, the Generalitat. Nevertheless, the activities of people associated with the Tabligh movement have occasionally given rise to suspicion and fears. In fact, the Spanish security services first became interested in Tablighi Jama‘at not long after 9/11. In those times, it emerged that the al-Qaeda representative in Spain, Imad Eddin Barakat Yarkas, aka “Abu Dahdah,” had used Tablighi networks to recruit some of the terrorists who went on to carry out the attacks in Casablanca and Madrid in May 2003 and March 2004, respectively. Another connection to terrorism is the only Spanish inmate in Guantanamo, Hamed Adberrahman. He had frequented Tablighi circles in his native Ceuta before travelling to Afghanistan. The Tabligh connection was also identified in 2006, when 18 people were arrested, mostly in Málaga, Sevilla, and Lleida, and accused of recruiting “martyrs” to send to Iraq. In 2008, eleven immigrants – ten Pakistanis and one Indian- were arrested in Barcelona and accused of preparing terrorist attacks. Their leader, Maroof Ahmed Mirza, was a Pakistani Tablighi who preached at the Tariq bin Ziyad mosque. Finally, the Annour Islamic Community, whose Tablighi imam, Abdelbaki Es Satty, instigated the 2017 Barcelona attack, is in Ripoll, in the Catalan province of Girona. The Muslim community in Spain is currently made up of almost 2 million people, or over 4% of the population. Almost 43% are Spanish and, among the latter, nearly two thirds were born in the country. As we have seen, they are a varied group both in terms of national and ethnic origins and how they practice their religion. A series of surveys commissioned by the Socialist government between 2006 and 2010 provided a reassuring glimpse into the beliefs and attitudes of Muslims living in Spain. They only polled Muslim immigrants, not Spanish Muslims, and the immense majority expressed moderate views. Between 85% and 94% said that it is unacceptable to use violence to defend or spread religious beliefs. Between 77% and 88% stated that Islam is compatible with democracy and human rights. Maybe more importantly, the percentage of those espousing views associated with radical Islam was 5% or less. Moreover, 74% believed migrants are well treated in Spain, and 83% considered themselves integrated into Spanish society. 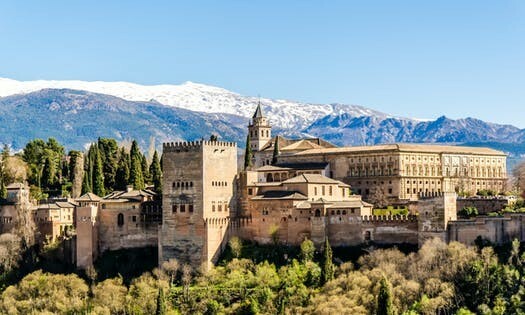 By contrast, a 2013 poll showed that Spain was the Western country in which the highest percentage of people believe that Islam is “not compatible with the West” – over 60%, ahead of more than half of those polled in Switzerland, Germany and France. Spain has witnessed dozens of conflicts over the building of mosques, which frequently end up with the Muslim community postponing the project or agreeing to an alternative location, often in the periphery of towns or in industrial parks. Most of those conflicts took place in Catalonia, which is home to the largest Muslim population in the country – more than half a million people – and where a number of towns have banned the face veil. Catalonia is also the only region where an openly Islamophobic party has made electoral inroads: 67 PxC town councilors were elected in 2011, although the figure was reduced to 8 in 2015. Muslim organizations periodically denounce the slow and uneven implementation of the 1992 Cooperation Agreement, for example in terms of providing religious education teachers in schools. On the other hand, they point to the absence of Muslim ghettoes in Spain, which contrasts with the situation in other European countries, and argue that in general Muslims are well integrated. In fact, yet another poll by Chatham House in 2017 showed that Spain is the European country which would least support a Trump-style ban on Muslim immigration – 41% of those polled, compared to 47% in the UK and 53% in Germany. To conclude, a report by the prestigious Elcano Royal Institute assessing the “highs and lows” of three decades of high levels of immigration was relatively celebratory, pointing to the general absence of social conflicts and the lack of traction of xenophobic movements. However, it sounded a note of caution for Muslims, warning that obstacles in the practice of Islam will have to be tackled if their integration is to be successful. “Mansur Escudero elegido representante para Europa y Latinoamérica del Liderazgo Popular Islámico Mundial (WIPL),” Webislam, 14 November 2006, in: www.webislam.com/noticias/48013-mansur_escudero_elegido_representante_para_europa_y_latinoamerica_del_liderazgo_.html; “Los vínculos de Junta Islámica con el régimen terrorista libio,” La Gaceta Europea, 27 March 2011, in: www.lagaceta.eu/2011/03/los-vinculos-de-junta-islamica-con-el.html. Escudero resigned from his position as co-general-secretary of CIE as a protest for the change of leadership in FEERI. He remained president of JIE until his death in 2010. Elena Arigita, “Al-‘Adl wa-l-Ihsan en España: ¿Un proyecto nacional para un movimiento islámico transnational?,” Revista de Dialectología y Tradiciones Populares 65/1 (2010), pp. 113-136. Olmo, “La ONG islámica que alimenta a los mendigos españoles y sus planes para expandirse,” op. cit. El-Barouni had lived in Spain since 1988 and was granted asylum in 1994, but in 2005 he came under suspicion for alleged links to al-Qaeda. His supporters claimed that the allegations were groundless fabrications by the Tunisian regime or by the group that took over the Great Mosque of Valencia in 2004, identified as “Syrian Muslim Brothers”. His asylum was revoked in 2008. See “Caso al-Barouni: La larga sombra de Ben Ali llega hasta aquí,” Webislam, 14 July 2005, in: www.webislam.com/noticias/44016-caso_albarouni_la_larga_sombra_de_ben_ali_llega_hasta_aqui.html. El-Barouni returned to Tunisia in 2011 and is now a member of Ennahda’s executive bureau. The Generalitat is keen to deal with religious minorities independently from Spain’s central government as part of its policy of expanding its powers. It is noteworthy that unlike most Catalan websites, which provide contents in both Catalan and Spanish, the Islamic Cultural Council of Catalonia only offers its web contents in Catalan. “Estudio Demográfico de la Población Musulmana,” op. cit. ; “Estudio Demográfico de la población musulmana,” UCIDE, February 2018. http://ucide.org/es/content/estudio-demogr%C3%A1fico-de-la-poblaci%C3%B3n-musulmana-6. It should be noted that the Spanish Constitution forbids the collection of official data on religious identity and UCIDE estimates are based on national origins, i.e. assuming that all citizens from Muslim-majority countries are Muslim. The survey was discontinued when the Popular Party was re-elected in 2011. “Valores, actitudes y opiniones de los inmigrantes de religión musulmana,” Metroscopia, 2011, in: www.interior.gob.es/documents/642317/1201485/Valores%2C%20actitudes+y+opiniones+de+los+inmigrantes+de+religi%C3%B3n+musulmana+%28NIPO+126-11-022-1%29.pdf/0bf98a9b-bd97-490f-8e53-0e6885a34e0a. Marcos, “España, un país sin guetos para musulmanes,” op. cit.